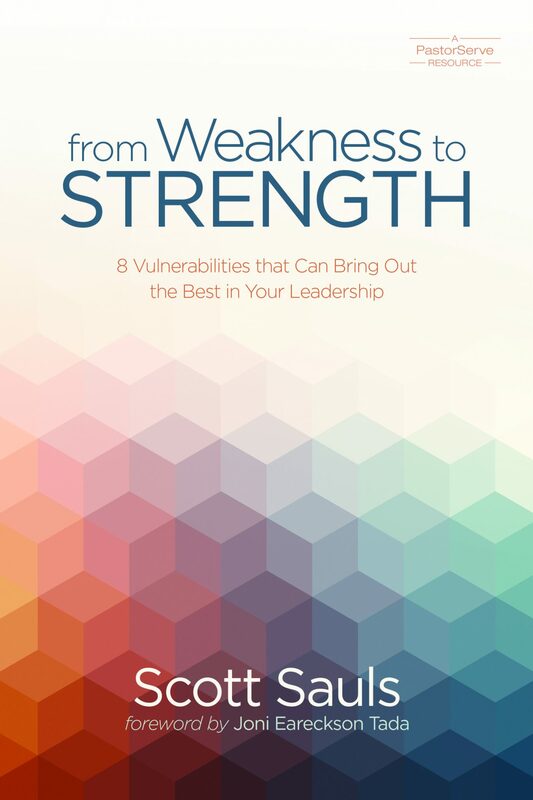 From Weakness to Strength provides leaders with tools to draw near to Jesus and stay encouraged and hopeful, even (and especially) when sin and struggle get in the way. This emphasis on the leader’s inner life makes From Weakness to Strength an important book. For example, the chapter on isolation focuses on the dual dangers of sin and despair bred by the cocoon pastors often lock themselves in (49–65). In some cases, isolation comes because the pastor is placed on a pedestal and venerated; but in others, people lift him up high so they can get better aim. Either way, he’s alone. And in his loneliness, sin can fester with no one around to see it; depression can boil with no one present to share the pain. Sauls preaches the gospel to leaders to help them understand how the danger and pain of their isolation can yield hope and holiness. “Jesus came for sinners, not for heroes,” he writes. “Perhaps the recognition that we are heroes can be an occasion—maybe the first one in quite some time—to fall into his healing arms” (62). By showing leaders how far we’ve fallen in our isolation, Sauls gives us the opportunity to see how desperately we need a Savior. When leaders have the clarity to see themselves as sinners loved by Jesus rather than performers on a stage, they can have honest relationships that bring accountability in temptation and encouragement in despair. The inner life of the Christian pastor can be complicated. He’s expected to be a humble servant, but he stands on a stage. He’s a sinner, but he must possess the character of an elder. He’s told to trust God with the results of his work, but every Christian leadership guru tells him that “healthy organisms grow and reproduce”—so if his church isn’t flourishing, there must be something unhealthy about his leadership. What may seem like small work now will be shown in eternity for the significant work it is. Sauls understands this tension, and helps pastors navigate the treacherous waters of their souls. In the chapter on anticlimax, Sauls points to the examples of Isaiah and Paul to show how the leader can experience joy instead of perpetual frustration. As he writes, “Both Paul and Isaiah were men who had learned to live in present strength because of a future hope” (140). He tells frustrated leaders to work in hope, knowing that what may seem like small work now will be shown in eternity for the significant work it is. Sauls injects many of his own painful experiences into From Weakness to Strength. He doesn’t write as one removed from the difficulties of Christian leadership, but as one forged by them. It gives From Weakness to Strength a gritty, realistic feel. But because some of his stories have earthly happy endings, I fear it may unintentionally undermine the hope he holds out for leaders. In the chapter on ambition, Sauls describes the painful experience of preparing to lead one of the campuses of Redeemer Presbyterian Church in New York City, only to discover there would be one less campus than originally planned. He was the man standing without a chair, and it crushed him. He left to become the pastor at Christ Presbyterian Church in Nashville, and he explains how great life is going now, how his marriage and children are thriving, and how wonderful his church situation is (40–42). He writes that his church treats him with “love and understanding.” Then he adds, “But, sadly, not all pastors are as lucky as I am” (59). While we rejoice he went through darkness and walked into the light, I can’t help but wonder what effect some of these stories might have on the pastor who struggles perpetually. What about the pastor who goes not from New York to Nashville, but from one unknown place to another? What about the brother who stands financially decimated from a life in low-paying pastorates, whose children have walked away from the faith because of the way Christians treated their dad? These aren’t uncommon experiences. Some pastors labor in fields that feel like Psalm 88. In this darkest of the lament psalms, the writer gives no hint that his situation will improve. He feels abandoned by God and his friends; nevertheless, he still looks to the Lord in prayer. Pastors in such situations labor daily in towns where teens leave for college and never return. They’ve done 10 funerals since the last baby dedication. They earn a meager living, but people in the church talk as if they’re overpaid. If they leave or are asked to leave, they won’t land in a good situation. It’ll be similar to or more difficult than where they are now. In addition to Sauls’s helpful book, we need other books like this. We need books with no success stories allowed. From Weakness to Strength fills an important gap in the literature on church leadership. Shelves buckle under the weight of books showing leaders how they can be stronger, more charismatic, and more forceful in their leadership. Few books appeal to the heart of a leader, urging him to be honest about his vulnerabilities and lean into how they make him a leader whose life emits the aroma of the Savior. Pastors and church leaders desperately need the message of From Weakness to Strength. They need to see that life and ministry come with many thorns, but that God uses them to make us more like his Son and to increase the eternal effect of our ministries.